The Ad Operation requires a number of checking and inspection as its the key team in an online advertising industry. Any small mistake can hamper the whole campaign and ultimately loss of the client. The proper clicking of the creative, impression or any 1×1 pixel firing should be checked properly before taking the campaign live. With concentration and delicacy, we have some free tools available which ease the work of AdOps and also confirming the right setup of the campaign. Flash Validator: A well known online tool that helps you to validate your flash file. This tool by Google is available free where you need to upload your SWF file to see if it’s working fine before uploading it to campaign while trafficking. This is a quick way to QA your ad and confirms the client if it’s working fine or not. ClickTagIt assures if the flash file has the clickTag implemented, if not it gives the error message when clicked on the banner previewed after uploaded. 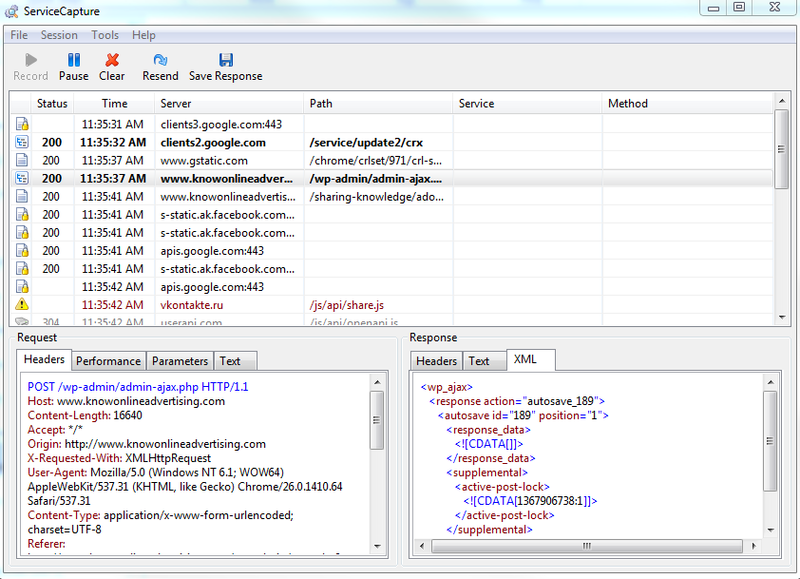 HTTP FOX: The most used tool for debugging in online advertising by almost all the technical teams in online advertising. Ad Operation department makes maximum use of this tool. This tool being so easy and user-friendly helps in resolving the issue easily and catching the error if any before making any campaign live.HTTP fox is just an addon for Mozilla which is very easy to install. This helps in checking all the pixel firing, all the tracking pixels like conversion, imprint, event pixels etc..
Technically it is the tool that monitors and analyzes all incoming and outgoing HTTP traffic between the browser and the web servers. 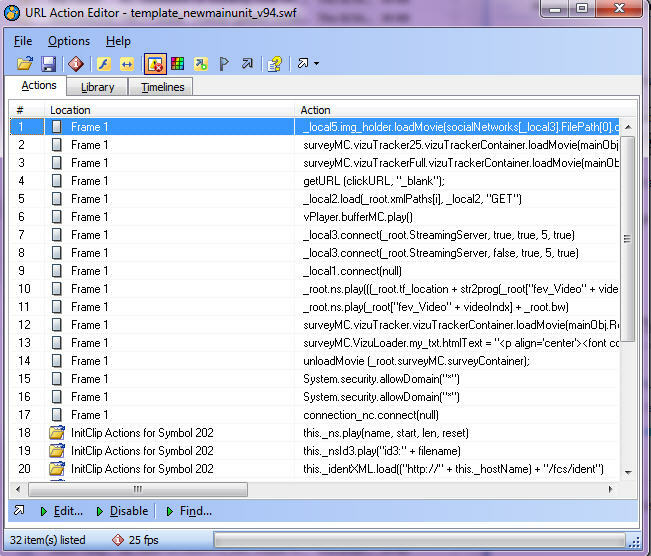 UAE is a Windows application that lets you edit parameters of ActionScript in Flash (SWF) files. UAE also has many other features like replacing symbols, editing linkage IDs, frame labels, importing new symbols and placing them on any timeline, editing the location of symbols on any timeline etc. UAE is an amazing tool to check the flash files easily, It’s useful in checking the clickTag , background color, other variables (if defined) the version of flash and all the information related to flash file. It is very simple to use, just drag and drop the flash file which has to be checked, the tool will show all the information. FIDDLER: It’s another interesting tool that is normally used, It helps in capturing the HTTP traffic issue if any. It’s a Web Debugging Proxy which logs all HTTP(S) traffic between your computer and the Internet. It allows you to inspect traffic, set breakpoints, and “fiddle” with incoming or outgoing data. Fiddler includes a powerful event-based scripting subsystem and can be extended using any .NET language. ClickTag / Malware checker in Flash (Online): We also have an online tool which helps in checking the flash file without any effort , we just need to upload the flash file and have to click to scan which will give us the complete report about the content, version, dimensions, weight, list of getURL and action scripts, detect security hole and malware presence. 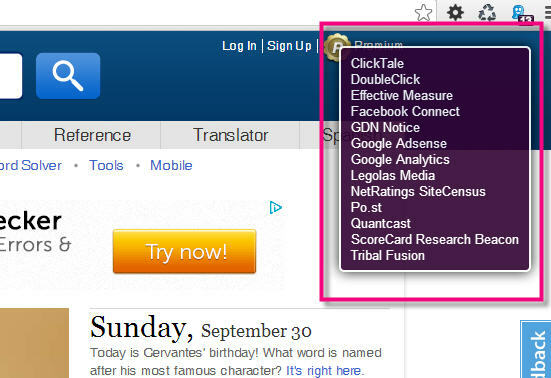 GHOSTERY: Tracking is often invisible, tools like these Firefox add-ons aim to provide users with insight into the trackers they encounter on the web. Its a best tool (extension) which tells about the third party tracking, widgets or web bugs embedded on the visited site. We can make use of this tool in live plus while trafficking the cases at back end too like we can save time by checking impression tracker firing without using HTTPFOX. e.g. if the tracker provided is of DoubleClick, when you open the specific ad it will show written DoubleClick at the right upper corner. 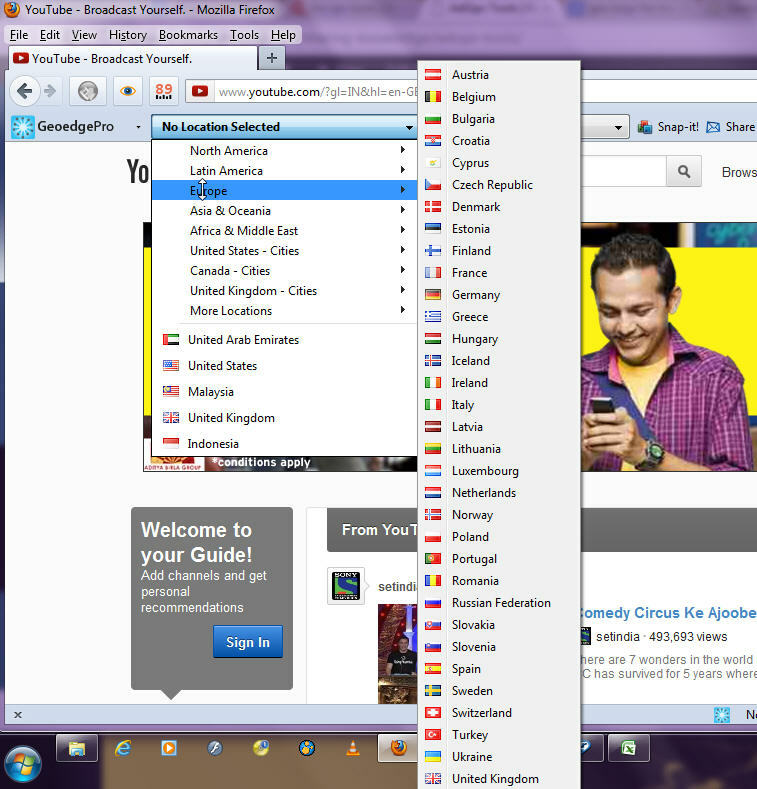 you can see below all the ad networks also for this visited website plus the widgets used, the tracking etc. it’s just great for controlling control web bugs which are objects embedded in a web page, invisible to the user, that allow the collection of data on the user’s browsing habits. It is basically an extension to the browsers. Almost every browser support this, you just have to download and restart your browser it will set to run and work for you! To download: CLICK HERE !! Firebug is a free source plus it’s an extension to Mozilla browser which can be easily downloaded and used. FIRECOOKIE: It’s a part of firebug now and is the best extension to view and manage cookies in your browser. You can Inspect the cookie very well and can also see the values. Cookie permission for a specific website can be changed using this tool. Cookie expiration time can also be shown. The best part you can export all the cookies for the visited site on a text file. You can see both sent and relieved cookie. etc. SOTHINK WEB VIDEO DOWNLOADER: There are times when you require to check any live video ads, you can make use of this tool to download the video and inspect it for any errors or inspection. It is very easy to use, it is just an extension to Mozilla and whenever any video will be shown on the browser it will start to blink, stating that this can be downloaded. 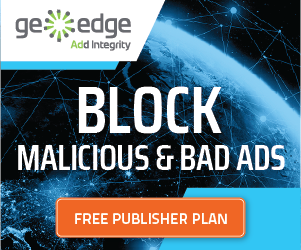 GEO EDGE PROXY TOOLBAR and Verification Tool: This tool is used to set any location worldwide to see the display of the webpage or the display of the Ad on a webpage from that location. The user sitting in the UK can see how the Ad will appear for users sitting in other countries on a webpage. It’s a great and easy to use ‘proxy’ tool. The content shown will be exactly the same that will be seen by other countries users, e.g. sitting in India if we select Arabic geo we will be shown the same context as will be seen by the Arabs (Arabic language). It’s very useful for geo-targeted Ads. As you can see the Ad appearance for US users. 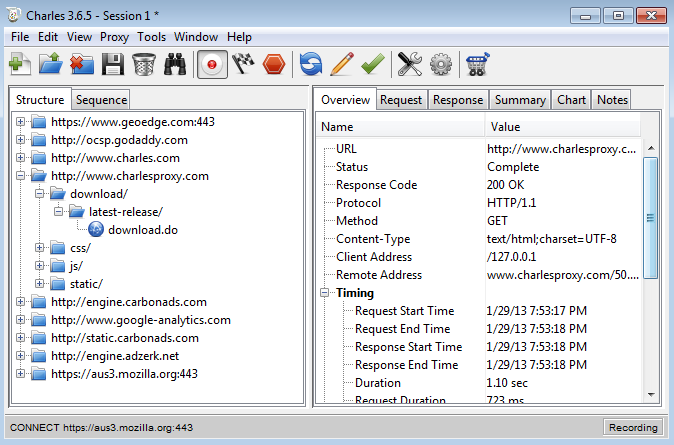 CHARLES: A Web debugging tool which shows you exactly what traffic is sent and received. It basically acts as a middleware between the user(browser) and internet(web applications). With Charles, you can quickly diagnose and rectify any problems you may be experiencing with your websites. Charles also provides bandwidth throttling, which allows you to experience websites as a modem user and can easily run at low speed. Charles also has a feature of rewrite URLs which sometimes can be very beneficial. Great search function. You can also quickly download the content and like it a java based it runs in windows/mac/Linux. All together it’s a great tool. Try and know it better. SERVICE CAPTURE: Another tool that can be very helpful in ad operation is service capture. This tool runs on your computer(PC or Mac) and captures all HTTP traffic sent from your browser or IDE. It is designed to help Rich Internet Application (RIA) developers in the debugging, analysis, and testing of their applications. Try this tool, free version provides 15 days of a trial version. RichFLV: RichFLV is a tool used for video ads where flv media are used. 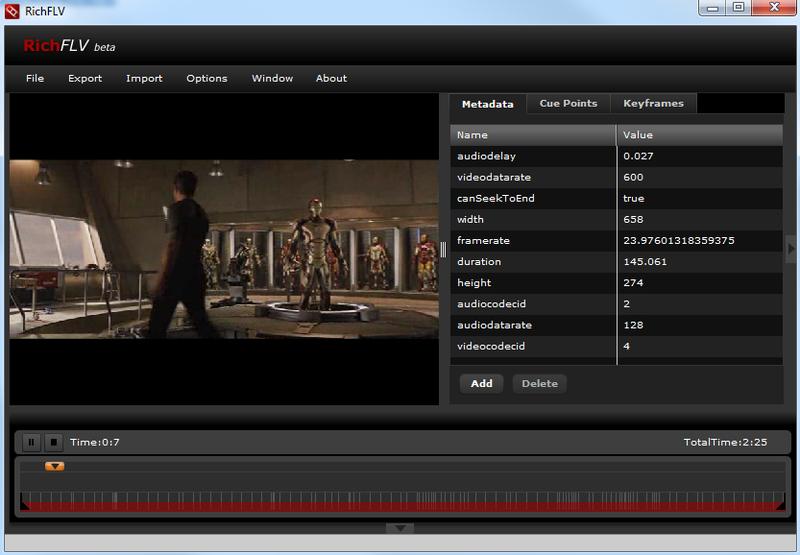 It’s a tool where we can check the video files plus if required we can edit them too. YSlow: YSlow is a tool developed by Yahoo Engineers to analyzes web pages and tells why they may be slow and suggests ways to improve their performance based on a set of rules for high-performance web pages. 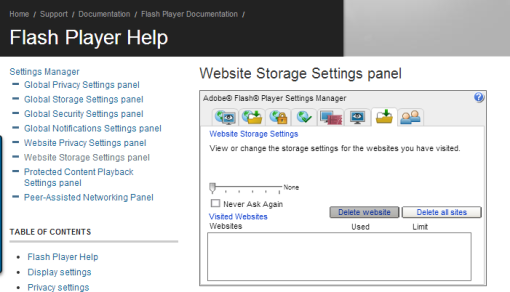 It is available with the Firebug web development tool. *It offers suggestions for improving the page’s performance. Online Cookie Remover: It’s a quick online tool that helps to remove the cookies from your browser. This is quite helpful during the QA of ads in ad operations. As multiple of times the ad that you are trying to look is not appearing after it has appeared once, the reason is frequency cap of 1 applied on the ad or the ad may appear just once to a user. So to have a look at the ad again, we need to clear the cookies. The online feature to remove cookies is provided by Adobe. Click on the below URL and click “delete all sites” or the one that you want to delete just select and click the button saying “delete website”. Do we have any tools where we can find the traffic for a mobile device? Could not get your requirement properly. Are you looking for traffic details related tools? I just wnat to know the best way to check the INS tag from DCM toll to check the creative preview in DFP. After uploading INS tags if we go to new window to preview the creative. It shows blank. So i wanted to know if there is best practice or tool or extension to see the preview of creative? It is an Ad verification tool that tests the offer and makes sure it is working and converting before promoting the offer and transparent the advertisers chain. Can anybody provide me some reference data for ampscript , actually I am working on sales force marketing cloud(email marketing). Since I am a fresher so I am facing some problem in learning the things online. So if anybody can provide me the data for it that would be great.